Janet Richard, of St Patrick’s AC, winning one of the sprint races at the Marsa athletics stadium. Within a week of clinching the Road Running League series for the second year running, Pembroke Athleta embarked on their quest to again win the Clubs League title in track and field. In a convincing team performance, both male and female teams garnered an identical 20-point lead over Savio Athletic Club and St Patrick’s Athletics Club, respectively, the men dominating the field events and winning all the six disciplines on offer. They were also victorious in the 100m, the 1,500m and the classic relay. In truth, the Pembroke women, in their effort to regain the title ceded to St Patrick’s last season, owe their strong lead also to the fact that the Saints failed to win any points in the relay by not finishing due to a faulty change-over. However, Rebecca Sarè, winner of both the horizontal jumps, and Joanne Vella and Lisa Bezzina, handsomely triumphant in the javelin and 5,000m, capped by the team’s clockwork performance in the relay, ensured that Pembroke would have emerged ahead regardless at the end of the day. 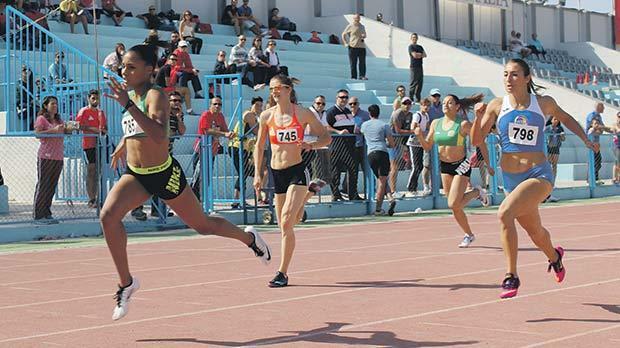 Other noteworthy performances at the Marsa meeting were those of Francesca Borg, for Allcomers Aloysians, in the 400m and 800m, the 5,000m won by Mellieħa’s Andrew Grech, fresh from winning the age-graded Masters at Marsascala a week earlier, and the double events won by Matthew Croker (Savio), Anto-nella Chouhal (Libertas) and Ian Paul Grech (Pembroke). Sarah Busuttil (Libertas) and Janet Richard, of St Patrick’s AC, prevailed in the closely-fought sprint races. The Boys’ League had five events to contest and here the La Salle lads had no peers, scoring maximum points in all. Karl Attard was the star performer, winning the 100m and 800m prior to anchoring the relay. The temporary men’s classification sees Pembroke on 181 points, Savio on 161 and Libertas 10 points adrift. The Pembroke girls lead on 179 points ahead of St Patrick’s AC, 159, and Libertas, 121. The La Salle boys gained 50 points, Savio have 42 and Pembroke Athleta 41.